German Culture Minister Monika Gruetters has announced that she hopes to put works from the trove of art accumulated by the late collector Cornelius Gurlitt on exhibition next year. But the show could feature Nazi loot. The controversial exhibition could open at the end of 2016 at the Bundeskunsthalle museum in Bonn. The office of German Culture Minister Monika Gruetters confirmed the report on Saturday but said it couldn't give further details. German news magazine "Der Spiegel" said the exhibition could possibly contain works that may have been taken by the Nazis from their original Jewish owners, works later accumulated by the late collector Cornelius Gurlitt. It quoted Gruetters as saying that organizers had to show "respect for the victims" whose property had been looted. She said that works of art that were confirmed as looted, or whose background hadn't been clearly established, would only be "exhibited with the aim of full transparency," adding that a public exhibit could help in finding further clues as to the truthful origins of the works. Ronald Lauder, president of World Jewish Congress, expressed his disappointment about the way that Germany had been handling the case. "When the task force came together in 2013, many people, including myself, were optimistic," Lauder said, referring to prospects of returning the works of art to the heirs of their original owners. But in the two years since then, only four items were identified as having been looted by the Nazis, with only two Jewish families found that could be linked to the pieces. "Germany could have achieved more in that time, and still has a mandate to accomplish much more," he said, adding that the work of the task force was far from over. 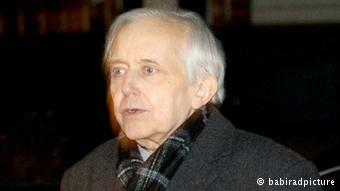 However, the Gurlitt task force is due to wrap up its work at the end of this year. Gruetters said she wanted the government-backed German Lost Art Foundation to take charge of any further research efforts that may be required after that time. Art dealer Cornelius Gurlitt died in May 2014, a few months after it emerged that authorities had seized some 1,400 items at his Munich apartment while investigating a tax case in 2012. Officials have since been checking whether several hundred of the works were originally seized from their owners by the Nazis. The collection was evaluated to be worth billions of dollars, and some individual items have fetched outstanding prices at auctions. A museum in Bern, Switzerland, was intended as the final owner of artworks from the collection once they were cleared by the task force, as bequeathed by Gurlitt's will. However, the validity of the will has also come under scrutiny.